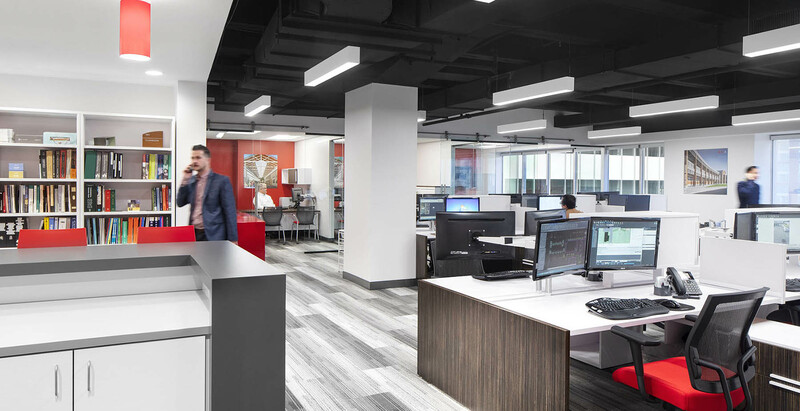 BCA Architects’ new headquarters is the embodiment of the firm’s culture, which is grounded in agility, work-life balance, growth and stability. 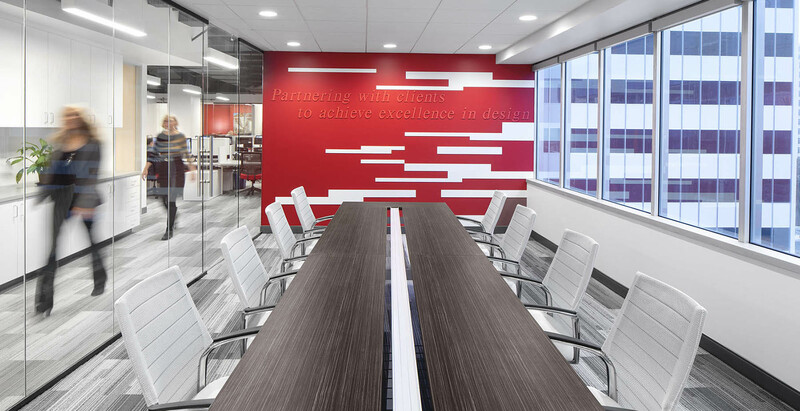 The interior palette is a literal translation of the firm’s brand, with the use of red, gray and white throughout, representing the company’s logo. The open floorplan is accented with the extensive use of glass, creating a transparent and welcoming workplace. The new office occupies Suite 710 of 111 Market Square’s North Tower, which is located at 111 N. Market Street, adjacent to the trendy San Pedro Square area of downtown San Jose. 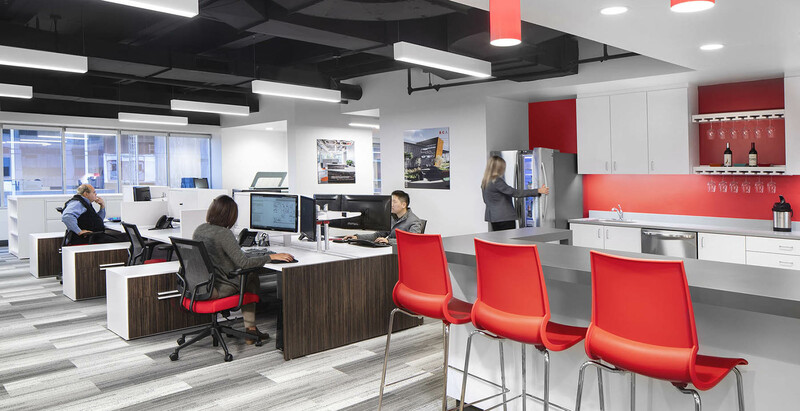 With additional amenities and a more modern work environment, relocating to a new space allows BCA Architects’ team members to continue to provide the same innovative design solutions, value-added services and abilities to listen and deliver on clients’ aspirations that they have come to know and appreciate from the firm. Dave Karol, Principal at Ridge Capital Investors, remarked, “We’re excited to have BCA Architects join us as one of our new tenants at 111 Market Square.” 111 Market Square is a newly-renovated office complex that features ground-level retail, contemporary lobbies, shared conference spaces, a state-of-the-art fitness center and an outdoor courtyard with complimentary Wi-Fi. Nearby amenities include popular restaurants, retail shops, public transportation and the SAP Center, or “The Shark Tank,” home of the San Jose Sharks NHL team.